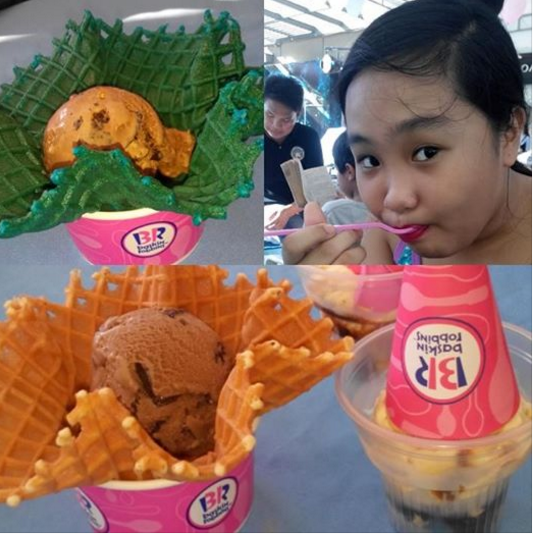 Baskin Robbins is known for its cutting-edge, ice-cream desserts and rightfully so! Buying an ice cream cone at Baskin Robbins could turn into a wonderful experience and much more! 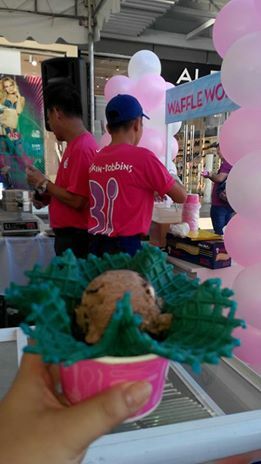 Now there is more reason to celebrate as the latest addition to Baskin-Robbins’ growing chain opened it’s 14th branch last October 1, 2016. 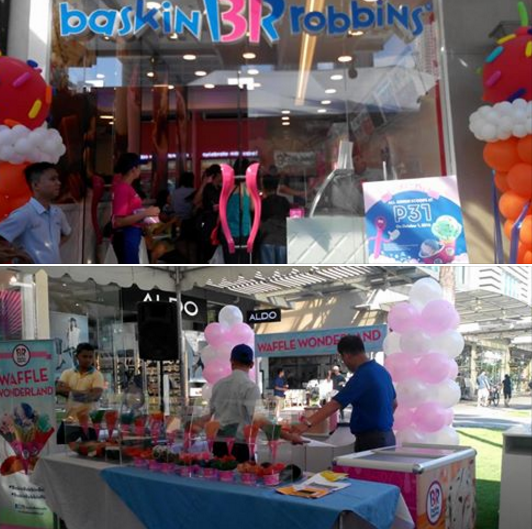 Baskin Robbins store at Bonifacio High Street features premium hard scoop ice creams, customized ice cream cakes and a full range of frozen beverages which makes it easily accessible to shoppers and residents within the area. Its mouth-watering ice cream cakes are made up of an individual choice of Baskin-Robbins ice cream flavors. These cakes also come in a variety of designs and sizes that are perfect for birthdays, anniversaries, holidays, graduations and weddings! And it added a series of fun treats for guests and customers during its grand opening day! Baskin-Robbins Bonifacio High Street store offered a special one time treat of junior scoops for just P 31 all day of October 1. On top of these sweet treats, guests enjoyed various activities including a lively performance by the UP Dance Company, a friendly meet-and-greet with the Baskin-Robbins mascot, photo printing, face painting, a special booth called ‘Waffle Wonderland’ wherein guests could customize their waffles in various shapes and colors plus ‘Fundae Sundae’ a booth designed for pure indulgence! “There has been a lot of anticipation for the opening of this branch so we are looking forward to bringing our extensive flavor variety and fun factor to the lively Bonifacio High Street area. Guests can expect to enjoy their usual favorites plus a whole range of new and exciting flavors.” ~Michael Dargani, President of IceDream Inc., exclusive licensee of Baskin-Robbins in the Philippines. Give in to your sweet cravings and join the fun at the newest Baskin-Robbins’ branch at BGC. Do check out www.baskinrobbins.ph or its social media accounts: facebook.com/baskinrobbinsph, Twitter, and Instagram @baskinrobbinsph for updates and similar promotions.